In the words of JFK, "Ich bin ein Berliner" or "I am a Berliner", and even though I was not born here, this is a city I just know I will continue to return to time and time again. Why do I love it here? Well, I guess it's the fact that at anytime of the day there is always something going on....it has the excitement and cosmopolitan factors of London and New York but without the frenetic pace and exorbitant prices. 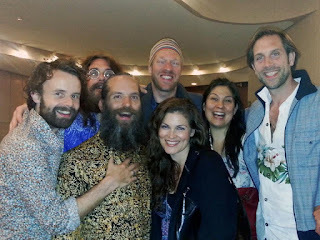 There are hoards of amazing musicians, poets, designers, dancers and artists spilling out of every street corner and for some reason it seems like all the great talents of the world seem to congregate here at some time or another. I heard it said once that Berlin is a 'protected city'. And I can believe it! There is, however the little issue of the weather!!!!! Anyway, I feel so blessed that I just happened to be in Berlin at the same time as four very special souls in the spiritual world. And I had the privilege of meeting them all in the same evening! 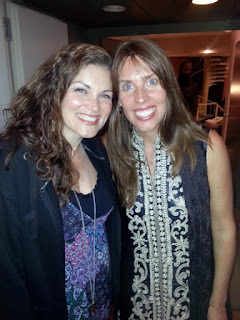 I met and chatted with the enchanting Deva Premal, perhaps the most influential mantra singer of our time, at her concert. She certainly has always been a great inspiration to me! 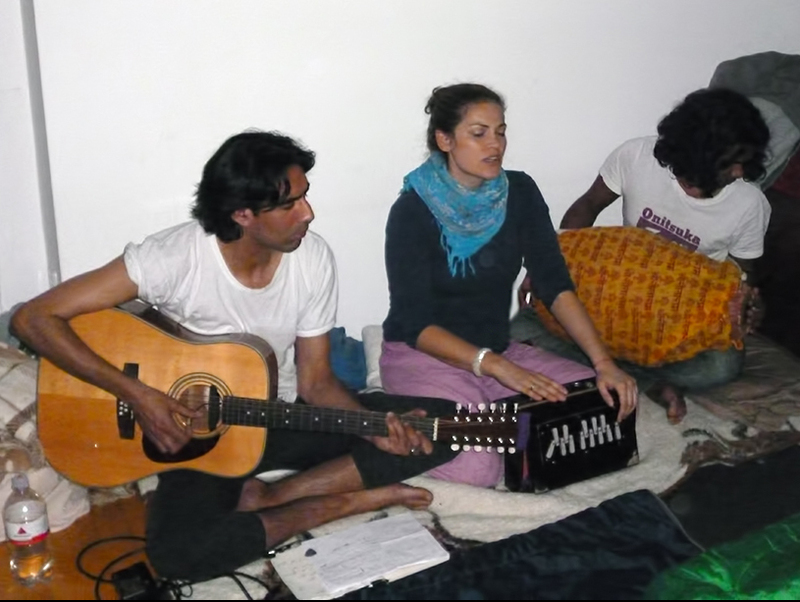 We also met the talented Dutch musician and producer Maneesh de Moor who has been touring with Deva Premal. 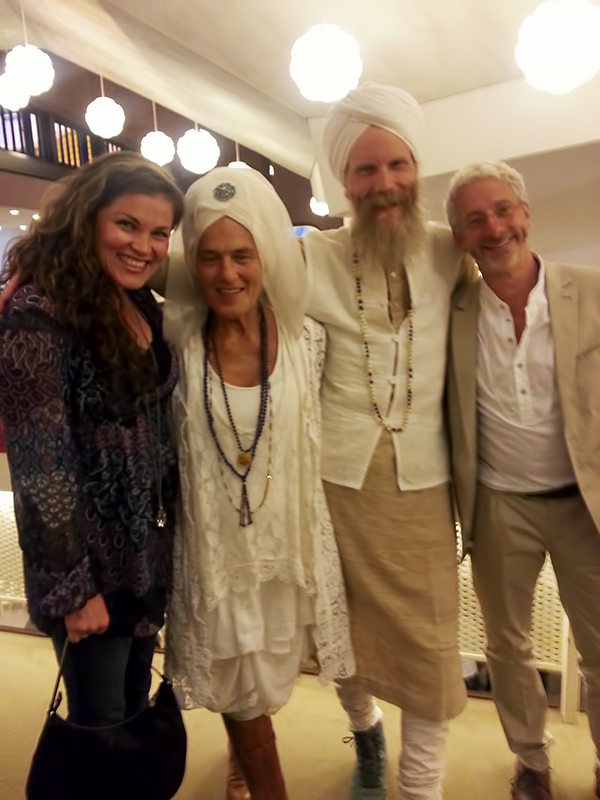 And just the cherry on the top, almost like a gift from the universe, I got to meet Gurmukh Kaur Kalsa and Gurushabd Singh Khalsa, two of the world's most inspiring spiritual teachers alive today, thanks to my friend Brian Kapell, who organised Deva Premal's concert in Berlin. As you can imagine I was feeling quite elated by the time the weekend swung around, and this put the Kirtans we offered on Friday and Saturday onto a whole new level. I again became witness to how sacred these mantras are, and also to how they uplift not only me as the singer but all the people who hear and chant them together. 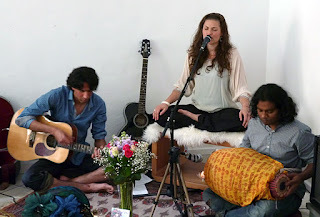 I was able to offer Kirtans supported by two wonderful musicians, Leigh Jonathan Thomas and Atul Krsna. 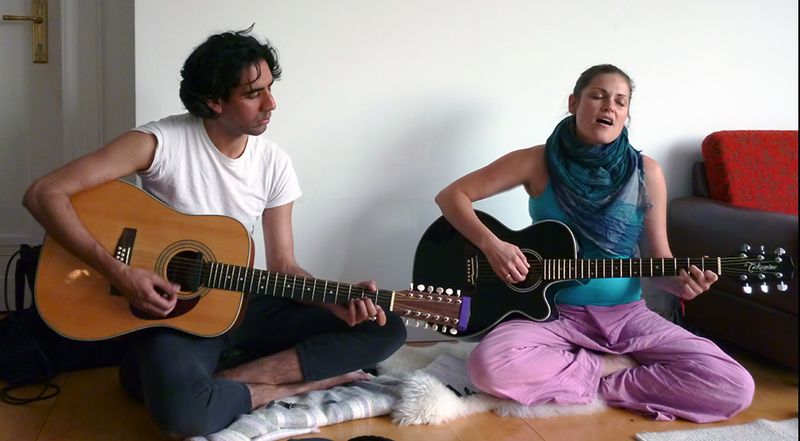 Together we offered three beautiful Kirtans in two days! Jaya Jaya!! I am sure there will be more upon my return to Europe from the States in August. To finish the weekend off I attended a half day workshop with Gurmukh Kaur Kalsa and Gurushabd Singh Khalsa at the Jivamukti Studio in Mitte. The theme of the workshop was all about how the frequency of Gratitiude will carry us successfully through the Aquarian Age. I do indeed have so much to be thankful for! I personally feel so humbled and blessed to be able to do this work, and to be able to offer this healing energy to others. I had the pleasure of being present at all the events captured above and I must say the energy was absolutely amazing. Gratitude is one of my ongoing themes over the past 2 years and I can honestly say it has changed my life. Life is much better once you choose to stay on the sunny side :-), there is something to be grateful for in every event of life!